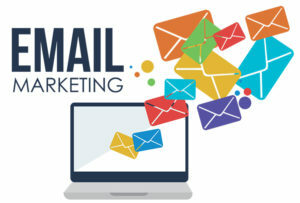 Email marketing campaigns are not only the most economical form of advertising, but they also allow you to segment your target market, generate new leads, track campaign results and keep in touch with your existing client base. But what separates a good email campaign from a great one? At Pristine PR we start with an intriguing message, a captivating headline, and a clean, bold layout. It is also important to choose nice graphics to compliment the text in your e-blast. Our email campaigns are interactive, often prompting recipients to take a poll or survey, which can include any recent changes to your firm’s website or feedback on your services. Most importantly, it is a great way to draw attention back to your firm’s website. 1. Design – Our award winning team of graphic designers create the visual concept of your e-blast working alongside our content writers using tools such as Photoshop and Illustrator. 2. Creation – Once the layout is finalized and approved, our programmers use the visual concept to create an HTML file. 3. Testing – A very important aspect of creating an e-blast is the HTML/CSS rendering in different emails. A superior e-blast will render perfectly in Outlook, Gmail, Hotmail, Yahoo, etc. Only the best programmers know the HTML/CSS quirks of each email client and can produce an e-blast that looks flawless in all inboxes. Spam filtering is another overlooked issue during the testing phase. Certain words, the ratio of content to html, and the “from address” are a few items that can trigger your e-blast to go to spam. 4. Distribution – There are a number of different tools out there to distribute e-blasts. At Pristine PR we prefer Campaign Monitor. 5. Tracking – It is important to know how many of your contacts actually opened your e-blast, which links were clicked on, etc. Our email marketing campaign software provides clients with detailed analytics in a clear and concise format. At Pristine PR we offer our clients the best! We utilize top graphic designers and software engineers to create our highly customized e-blasts and e-newsletters. Call us TODAY to see how a strategic email marketing campaign can help grow your law firm and generate new leads.